A few years ago, we operated a Jenkintown-related website called Jenkintown Station where we commented and reported on issues related to Jenkintown’s development. The site had no affiliation to SEPTA or the the train station, but it did a good job attracting comments from readers. 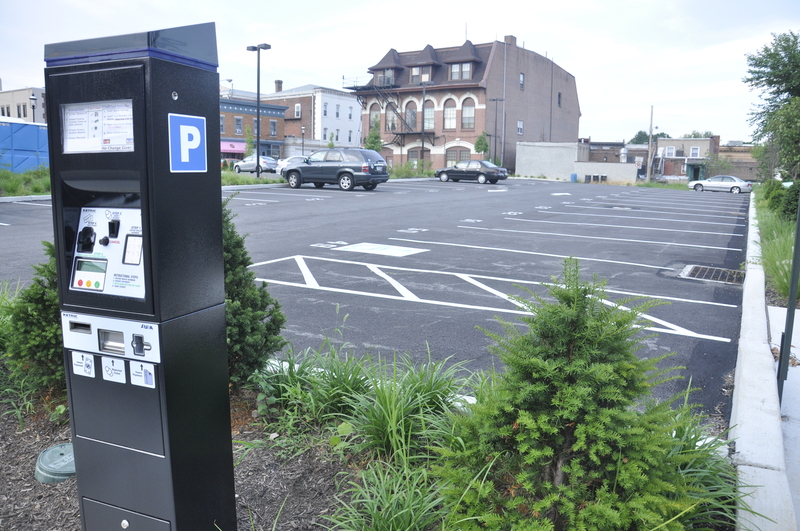 We plan to resurrect it, but while working on that, we found this 2010 article about the $2.4 million parking lot. It’s a good time to revisit, but look for the site to return soon. Today, a faithful reader pointed me to this video [since removed from YouTube] taken two years ago in which Borough Council Member Sandra Goldman discussed Jenkintown’s new parking plan, where our borough would spend $2.5 million on a parking lot in the center of town in an attempt to attract businesses. As a long-time and acute follower of these issues, I heard Ms. Goldman spout the all-too-familiar refrain that businesses seemed to want more parking. Well, not exactly. What businesses ultimately want is more customers, and I can tell you from general observation that parking does not by itself do this. Whenever I hear anyone from Jenkintown complain about our “lack” of parking, and that if we’d only build a (name your number)-sized lot, why, we could lead the whole country out of recession! And yet, despite the lack of parking, people crowd the sidewalks, especially on weekends. So, what gives? First and foremost, all these districts share at least one thing in common: Charm. You simply cannot have charm without a charming streetscape, and in most of these cases, this means historic, well-preserved, and well-kept structures. It does not mean wide, barren swaths of asphalt. Businesses found in these districts typically attract a wealthier, better-educated demographic — people who have at least some appreciation for the value of the built environment and seek out such places that preserve this aesthetic. As the saying goes, to a man with a hammer, every problem is a nail. The Borough has no power to stir business development, but they do have the power of eminent domain, which they wielded by taking the property from the Pioneer Fire Company and kicking out the active business operating there. Parking lots attract nothing. If you have to tear down your buildings and dislodge people to make them, then you work at cross purposes. Anyone who tells me that they will only shop where they can find an easy (and free) place to park usually doesn’t bother shopping in the kind of business district the JCA presumably hopes to develop. They go to Wal-Mart. They go to the Willow Grove Mall. They go to Olive Garden. In other words, we’ve already lost them. Stop wasting our money destroying our town trying to bring them back. Make Jenkintown a better place to live, and people will want to come visit. Make it a pleasant place to walk, and people will park their cars wherever they find a space.